SOURCE: Chris McLennan, courtesy of Tourism Australia, the tourism promotion authority of the government of Australia, used with permission. Russell Falls, one of Tasmania�s most popular tourist attractions, are located on the eastern boundary of Mount Field National Park. 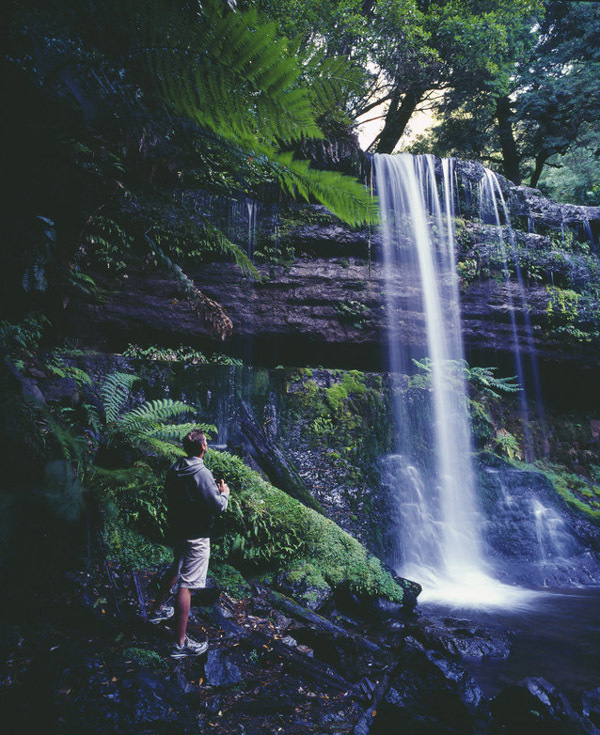 The falls are only accessible by paved walking track through a mixed forest comprising towering swamp gums, the tallest flowering plant in the world. The landscape of Mount Field National Park, located 64 km northwest of Hobart in Tasmania, consists of eucalyptus forest and alpine moorland, including the 1,434 metres high summit of Mount Field West.